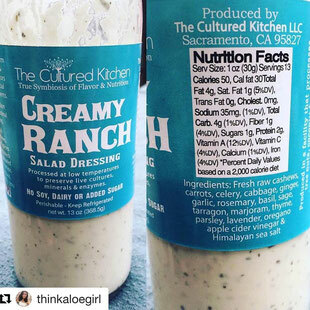 myalchemylifeProbiotic vegan ranch? Yes please. I haven't seen this at my store. kasher63It is yummy, I even had it today on my salad! It's hard to find though. mermaid_tails_shellsI didn't know you had this!😱 So excited to try it! Who carries it in the Sac area? theculturedkitchensac@mermaid_tails_shells @myalchemylife We have it at all the Co-ops in Sac, Davis and Placerville. Also, it's at all the Elliot's!